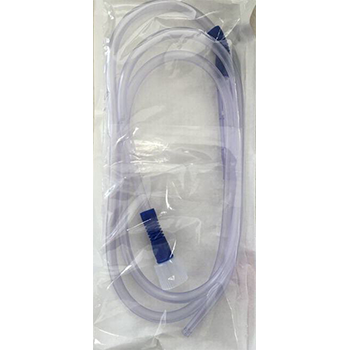 iM3 has developed a unique pre sterilised Yankauer suction set. The handpiece and 150cm (60”) long suction tubing is complete and ready to use for sterile surgical/dental procedures. Remove the existing dental suction tube (cream in colour) from your iM3 dental machine. Open the new sterile suction pack and simply push on the new sterile suction tube onto your iM3 dental machine.